Back in August, I had the opportunity to take a second trip to Barbados and experience the Crop Over Festival for the first time—and what an experience it was! 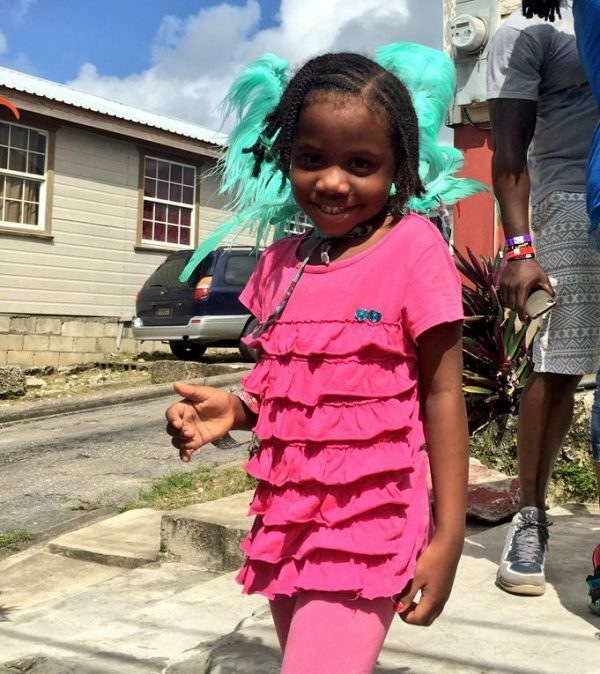 I fell in love with soca, explored the wonder of Harrison’s Cave, got a taste of “the rum that invented rum,” and jumped in the Grand Kadooment! 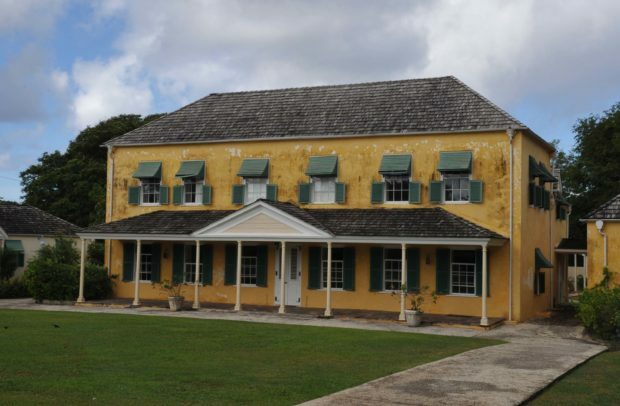 Beyond that, I had the chance to chat with locals and take a tour of George Washington’s Barbadian home. As working professionals, we all deserve an occasional break from the daily stresses of work and life. Such trips are not only relaxing but they oftentimes broaden your world perspective and present you with a creative space to come up with new, fresh ideas. 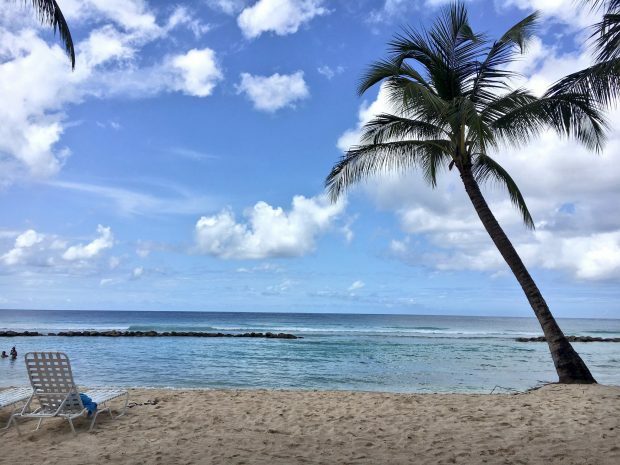 Here are five reasons why I would encourage working professionals and business owners to book a trip to the amazing island of Barbados. Crop Over is a two-month long celebration of Bajan culture and history that runs from the beginning of June to the first Monday of August. During this time, Bajans party with their family, neighbors, and loved ones, while extending a warm invitation to foreigners who want to join in on the festivities. Blenman also touched on the roots of Crop Over, which began as a harvest festival on sugar cane plantations in the 17th century. Back then the celebration was called “Harvest Home” and signaled the end of the yearly sugar cane harvest. “Every plantation had a Crop Over festival. So this thing was literally islandwide,” Richard Sealy, the minister of Tourism and International Transport in the Cabinet of Barbados, told Black Enterprise in an interview. However, the festival was disbanded after World War II and then later resurrected in 1974 by the Barbados Tourist Board in effort to attract tourism and business. “When Crop Over was [relaunched], there was the Jambay Festival in Bahamas, there was Reggae Sunsplash in Jamaica, and there was nothing in Barbados,” explained Sealy. The festival officially concludes with Grand Kadooment, a huge parade of masquerade bands usually held on the first Monday of August. 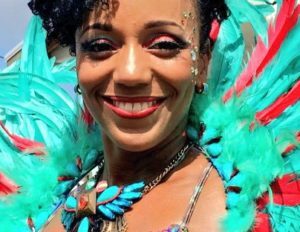 This is a stunning spectacle of visual and aural music and dancing to the sounds of soca and calypso. This is also where Rihanna was when she broke the internet by sharing photos of her Crop Over costume. Outside of the Crop Over festivities, concerts, and parties commonly referred to as fetes, I had a chance to delve into the history of Barbados, which, like all Caribbean nations, was colonized by Europeans and built on the backs of slaves. I also toured the home where George Washington resided as a teenager during his first and only trip overseas in 1751. It is said that the trip greatly expanded the future U.S. president’s worldview and helped him develop an immunity to smallpox. In the following clip, Watson talks about the kid-size slave chains that are now preserved as artifacts. 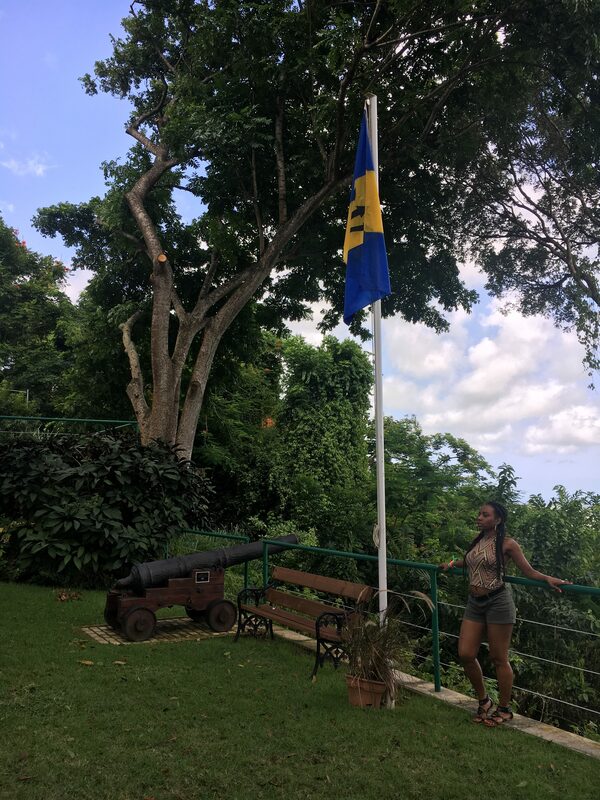 Furthermore, I had the opportunity to explore other historic sites like the Gun Hill Signal Station in St. George, the largest and most important military outpost in Barbados. The outpost dates back to 1697 and was recognized as one of the four points where guns were placed in order to send an alarm about an invasion. In addition to its world-class beaches, Barbados is defined by its warmth, casual charm, and sophistication. According to Griffith, it has a culture and “personality of people that is second to none.” He added, “we think that we are a very friendly island, we think that we have a fantastic array of food choices of restaurants on the island, we think that we are a wonderful vacation destination for clients.” And he’s right! Although Barbados is known as a luxury destination for mature travelers, Sealy says the island is in a period of growth and aiming to attract younger visitors. For example, a new Sandals hotel is projected to open at the end of the year. The ministry of culture “is constantly looking at what they can do with the festival and there are numerous proposals about how they can improve it. Make it larger as well. Adding events, and so on. Extending the festival.” For example, “Crop Over is attracting a younger clientele. So is the Reggae Festival and the Food and Rum Festival, which is in November,” he said. Barbados, like many tropical islands in the region, is economically dependent on tourism to a large degree. Tourism has also helped transform the island from a low-income agricultural economy primarily producing sugar into a high-income economy. Hence, those of us with the privilege to take an overseas vacation should consider planning a trip to the Caribbean— not only to experience the paradise that it has to offer but because these black-populated nations need tourism to survive. Especially in light of Hurricane Irma, which ripped through the Atlantic earlier this month, causing billions of dollars of destruction and completely decimating Barbuda and Anguilla.